See also: Affiliation, Resources, Grants, Start a New Club. View our list of clubs and societies here. Scroll through this list and click on a club you'd like to join. You can then join/renew your club membership, view their Facebook page or email the club organisers of this club. How do I contact the Clubs and Societies Officer? The LTSU Clubs and Societies Officer can be contacted at clubsofficer@latrobe.edu.au or on 9479 3752. They work from Monday - Thursday every week as well as every second Friday. Where is my club's pigeonhole? Each club has a pigeonhole where letters, mail and other items are placed for collection. The pigeonholes are sorted A-Z by club name, and should be checked at least every month. The pigeonholes are located behind the reception desk at LTSU, level 2 Upper Agora West, along the wall next to the Board Room. You can access your club's pigeonhole by asking LTSU's reception staff to let you in to the office. New club affiliations must go through to affiliate for the current year by the Last Clubs council of that year, generally held in week 11 or 12 of Semester 2. Grants of $400+ must be submitted at least 48 hours before the final council of the year to be processed. Last day to submit grants under $400 to Clubs Officer: November 30. How do I RSVP to the Clubs Festival? The Clubs and Societies Officer will contact clubs well in advance of each semester's Clubs Festival to organise registration! Do I have to affiliate my group in order to have a club / society at La Trobe Uni? No, you can have an 'unofficial' club at La Trobe Uni that meets in your own time. However in order to access funds, have a website and be included in our promotions and huge club events, you do have to complete the process of affiliation. 90+ clubs and societies complete this process every year and the LTSU's Clubs and Societies Officer is available to help you through each step of the process. How do I advertise my club's AGM as an event on our LTSU website? First up you will need to be an "Admin" of your club's page in order to access the 'back-end'. If you aren't sure whether you have this access please contact the Clubs and Societies Officer at clubsofficer@latrobe.edu.au. All of the steps to advertising your club's AGM can be found HERE! My club completed the affiliation process last year, do we still have to undertake the affiliation process this year? Yes! You absolutely do! Affiliation is a yearly process for ALL groups, new and old. All affiliations from the previous year are null and void the moment the first Clubs Council for the year starts so you definitely need to get on it! Why is the affiliation process so complicated and lengthy? First up, it is much simpler than it used to be! So count your blessings! It is complicated because the LTSU has to meet a number of requirements outlined by the LTSU Clubs and Societies Constitution and Finance audit requirements. The Constitution was established by students and strives to ensure that all students of La Trobe are able to join all clubs and societies. The steps in the affiliation process reflect this (for example, the requirement to advertise AGMs for a week on the LTSU website). Holding AGM's at the end of the year to be ready to affiliate in the New Year. If your club has already completed the affiliation process in the current year, you can hold another AGM after October 1st, which will count as your AGM for the following year. If you choose to do this it basically means you won’t have to worry about organising an AGM early in Semester One as the Clubs Officer will already have all your affiliation documents and you will simply have to wait for a vote of approval in the first Clubs Council of the New Year. The benefit of this is that you will be able to apply for grants from the earliest possible time and can really hit the ground running. You don’t have to do this, but we strongly recommend that you consider doing so. When must clubs affiliate by? The LTSU holds at least four Clubs Council meetings each semester, and clubs are able to affiliate at each of those meetings. If a club applies for affiliation that application will be taken to the next meeting. If a club applies for affiliation after the final Clubs Council for the year their application will be carried forward to the following year's first Clubs Council. How do I book a room for an AGM? My idea for a club / society was rejected. Why is this? LTSU may only affiiliate clubs of a non-sporting nature. Sporting clubs that wish to start should contact the Sports Centre. As LTSU only has a limited amount of funding and resources, groups that do not reach at least 10 members or are not significantly different from other existing groups are unable to affiliate with LTSU. However, you can still exist as an independent group or club, as stated above. HELP how do I run an event? How do I book campus space and event resources? What about insurance? Find helpful guides in the Resources page to answer all questions about holding events. How do I book space in the Agora, hire a BBQ,marquee or trestle table? How do I book the LTSU board room? To book these items (AND MORE!) simply come see the LTSU's reception team at Lvl 2 Agora West or email the Clubs Officer and they will be able to assist you with bookings. Most items that the LTSU books out do require a deposit of some sort which will be returned once the equipment is back safe and sound. 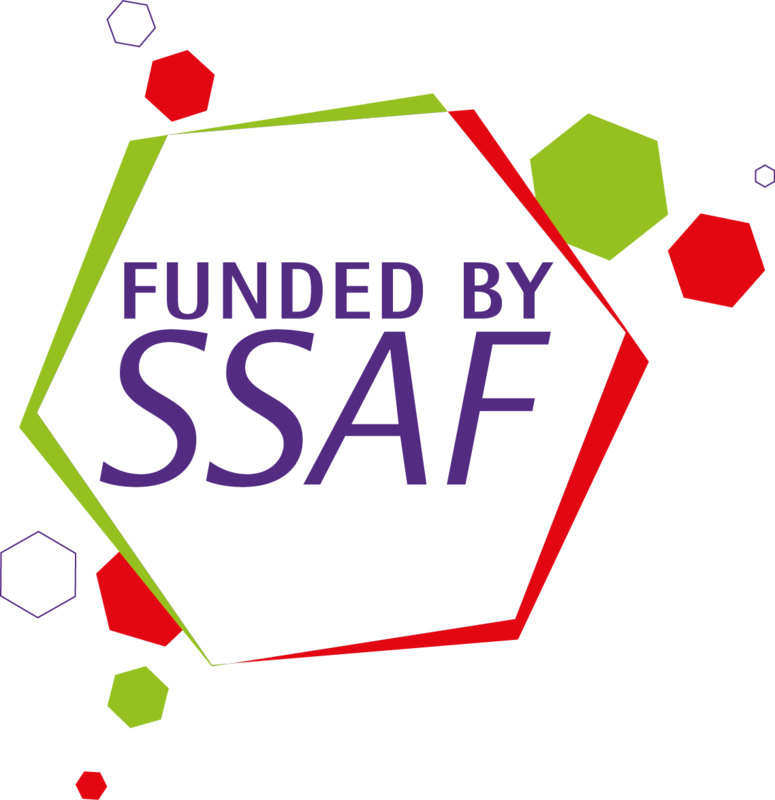 All LTSU affiliated clubs are funded from an allotment of money given to the LTSU from the Student Service and Amenities Fee (SSAF). The exception is any political clubs who are funded out of the LTSU’s own revenue. Every club is allocated an equal amount of funding that the LTSU holds on their behalf which can be accessed via our grant system, more info about the grant system below! Grants are how clubs can access the funding allocated to them throughout the year. There are multiple categories of grants that allow clubs to spend their funding on different things (ie; events, publicity, equipment purchases). A full list of all grant categories can be found here. All of the relevant information for each grant can also be found there. How much money does my club / society get per year? This amount changes every year as LTSU is dependent on funding from La Trobe University which changes every year. Another factor is the amount of affiliated Clubs and Societies that we get each year as the more groups we have the further the money has to spread. If a club affiliates in semester one they will get access to the full amount of funding available to them for that year. If a club affiliates in semester two they will get access to about half the full amount for that year. As an example of amounts of funding that clubs have had in the past in 2018 clubs received $1400 for the year and clubs who affiliated in semester two received $700. Contact the Clubs and Societies Officer Clubs and Societies Officer to find out your current budget or if you have any other questions regarding funding! My club has an event coming up. Can LTSU transfer money into our bank account for this? The LTSU can help you financially with events, functions and more. However you must have followed the steps and procedures as shown on the grants page and apply for an exact amount, as shown on either an official quote or receipt that you already have, through our grants page. What is the usual processing time for grants? Grants under $400 are processed on Wednesday of each week with a cut off time for acceptance of midday every Wednesday. Any grant that misses that deadline will be processed the following week. Grants over $400 are processed 8 times a year during the semester, firstly at CSAC (Clubs and Societies Administration Committee) and then at Clubs and Societies Council. These take between one week and one month to process during semester, and cannot be processed outside of semester. The cut off for grants to be accepted is every Wednesday at 12pm. After this the CLubs Officer processes each grant application and submits each which is satisfactory to the LTSU's Finance Department who will then process them to be paid out on Thursday. The LTSU banks with the Commonwealth Bank so if your club is with CommBank you will receive any grants that have been approved as soon as they are paid out each Thursday. If you bank with Westpac or with the Credit Union there will be a delay in the payment coming through. It will likely be in the account on the Friday of the week it was paid out by the LTSU, but in a worst case scenario it will be there on the Monday of the following week. Can I get or use a club photocopying / printing card? Due to some unforseen changes in the way that printing services are ran at La Trobe printing cards have become unavailable in 2018. We are looking into ways of bringing them back in 2019 so watch this space! How do I track spending / keep a budget for my club? Planning your budget can be confusing as funding changes every year. Check in with the Clubs and Societies officer at the start of every semester to find out your budget allocated for this time period. Please note, money available in your budget can only be accessed through applying for grants as outlined on the **grants page**. It's a really good idea to keep a budget - **here's** an easy to use template tracking all income / expenditure: Clubs and Societies Budget template. Find a factsheet with tips on monitoring your finances written by the LTSU Finance department by clicking **here**. How does my club / society access our bank account or make payments? Every year your club affiliates, at least two members of the executive Each group must have their own bank account under their exact club / society name. Each year, two (or more) executive members must become account signatories. This information is displayed on the Endorsed Bank Account statement submitted to LTSU as part of the Affiliation process. As the LTSU constitution requires two representatives of each group to co-sign money withdrawals or payments, most banks do not allow phone or internet banking. To action a money transfer or withdraw cash, two of the account signatories must go in person into (any) of your bank's branches and either withdraw cash or ask to transfer money as required. I'm from Mildura / Shepparton campus. How do I start up a club? Please view the 'Start A New Club' page and get into contact with your local student association; Mildura Students Association or Shepparton Student Association. Together the Clubs and Societies Office in Bundoora and your local student association can help you through the process of affiliating a club. LTSU has a finite amount of resources and support for regional campuses at this stage but are doing our best to improve this in the future.